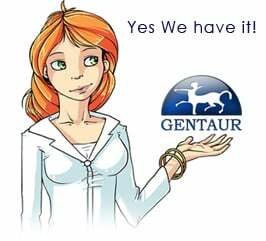 Gentaur antibody-antibodies.com The Marketplace for Antibodies : Phage T4-coded Stp: double-edged effector of coupled DNA and tRNA-restriction systems. Phage T4-coded Stp: double-edged effector of coupled DNA and tRNA-restriction systems. The optional Escherichia coli prr locus encodes two physically associated restriction systems: the type IC DNA restriction-modification enzyme EcoprrI and the tRNA(Lys)-specific anticodon nuclease, specified by the PrrC polypeptide. Anticodon nuclease is kept latent as a result of this interaction. The activation of anticodon nuclease, upon infection by phage T4, may cause depletion of tRNA(Lys) and, consequently, abolition of T4 protein synthesis. However, this effect is counteracted by the repair of tRNA(Lys) in consecutive reactions catalysed by the phage enzymes polynucleotide kinase and RNA ligase. Stp, a short polypeptide encoded by phage T4, has been implicated with activation of the anticodon nuclease. Here we confirm this notion and also demonstrate a second function of Stp: inhibition of EcoprrI restriction. Both effects depend, in general, on the same residues within the N-proximal 18 residue region of Stp. We propose that Stp alters the conformation of EcoprrI and, consequently, of PrrC, allowing activation of the latent anticodon nuclease. Presumably, Stp evolved to offset a DNA restriction system of the host cell but was turned, eventually, against the phage as an activator of the appended tRNA restriction enzyme.